Chrysler Group, riding sales gains in the U.S. and globally, reported net income of $507 million in the second quarter as strong sales of pickups and SUVs led the automaker to its eighth consecutive quarterly profit. Earnings rose 16 percent from the $436 million posted during the same quarter of 2012, Chrysler said in a statement today. The automaker reduced its forecast for full-year profit. 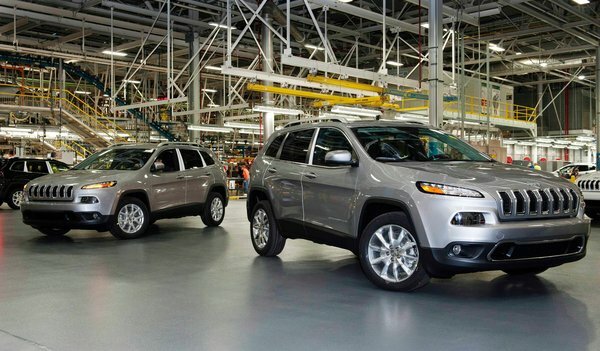 Chrysler's U.S. sales in the quarter were 479,980, up 10 percent over the same period a year ago. The increase outpaced the industry's average rise of 8 percent. Of the automaker's brands, only its namesake Chrysler brand experienced a sales decline in the quarter. Chrysler is expected to record its 40th consecutive month of year-over-year sales gains when July sales are reported Thursday. Second-quarter revenues grew 7 percent to $18 billion, up from $16.8 billion in 2012. Chrysler reported cash of $11.9 billion, down from $12.1 billion one year ago. The company reduced its year-end forecast of net income for 2013 from $2.2 billion to between $1.7 and $2.2 billion. It also revised its projected modified operating profit for the year downward from $3.8 billion to between $3.3 and $3.8 billion. There was no immediate explanation for the downward forecast. The company scheduled an 8 a.m. EDT conference call to discuss the quarterly report. Chrysler said it had recognized a charge of $151 million to conduct the voluntary safety recall of 1993-98 Jeep Grand Cherokees and 2002-07 Jeep Libertys. In June, Chrysler agreed to add trailer hitch assemblies to those vehicles that didn't already have them to add further protection from low-energy rear-end collisions, and to quell a dispute with the National Highway Traffic and Safety Administration. Increasing sales of re-engineered versions of its two most profitable vehicles -- the Ram pickup and Jeep Grand Cherokee -- helped Chrysler's average transaction price climb 3 percent to $32,005 in the second quarter, according to Kelley Blue Book. Chrysler delivered 660,000 automobiles globally in the second quarter, including vehicles made for corporate parent Fiat S.p.A. and other automakers, up from 630,000 during the same period a year ago In the first quarter of 2013, deliveries dropped 5 percent to 574,000. Chrysler's market share ticked up 0.1 percentage points in the first half of 2013 to 11.6 percent. Through June, the automaker's U.S. sales are up 9 percent in 2013, at 908,332, in a market that has advanced 8 percent.